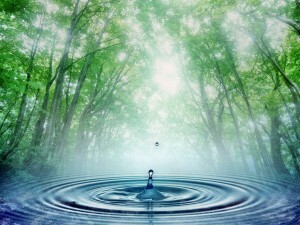 Water is life, and when we look into it deeply enough, we see a reflection of ourselves. I am fundraising because when I see the way we treat water in America, I see a confusion of values. It seems that if we have reached a point where it is okay to treat water as a disposable consumer commodity, we have forgotten its vital role as the life blood of ourselves and our Earth. I see this project as a way to renew my own humanity and help strengthen the elemental bonds that tie us closely to one another and the Earth. 01/01/11 Emma Weiss-Burns $100.00 $250 provides an entire village with clean water. I'v given $100. Will you help with the rest?